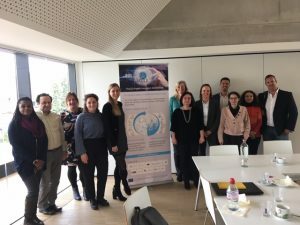 On the 4th April 2019, UTILE partners met in Brussels to plan the next steps to be performed in the next months. During the meeting, the consortium analysed the results achieved so far and deeply discussed about the sustainability of the Marketplace developed in the framework of the project activities. The partners are intended to put all their efforts in order to create a livable tool to support promising health related project results. Finally, they defined details about the next events to be organised in 2019 to offer free support to selected projects. During those events, indeed, the most promising projects have the chance to improve their exploitation and commercialisation skills by attending training and workshop led by international experts, as well as pitch their results in front of investors and industry representative to discuss further deals. If you are a EU-project beneficiary or an investor interested to join our events or discover all the opportunities offered by the UTILE Marketplace, please contact us.